How to cook Basmati rice. 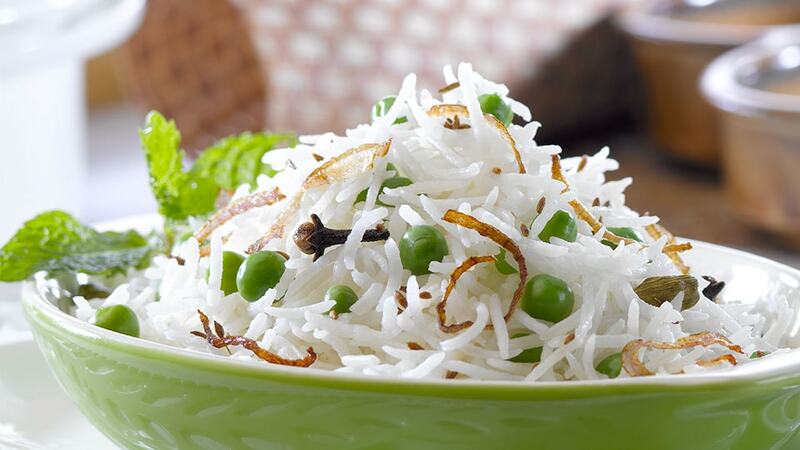 There are many ways you can cook Basmati rice and time after time we speak to people that struggle to cook perfect rice from scratch. But don’t be put off – to help you out, the method we swear by is the hob method (absorption), giving you perfectly fluffy, aromatic rice grains each time. Use our easy to follow guide to try it out and see for yourself! Even if it doesn’t work for you first time round, you can always rely on our microwaveable Heat & Eat Basmati Rice, ready to enjoy in just 2 minutes. Place the rice in a sieve and rinse under cold running water. Put in a large pan of boiling water. Stir once, cover and simmer for 10 – 12 minutes. Drain well, fluff through the grains with a fork and serve.